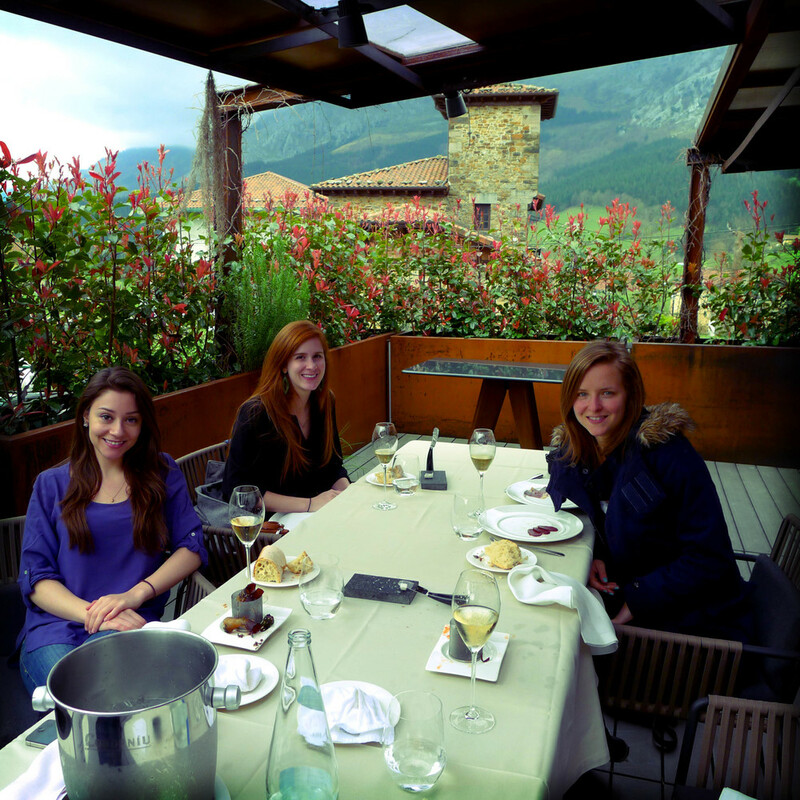 If there's one place in the world I would rather be, it's probably Axpe, Spain. Why? 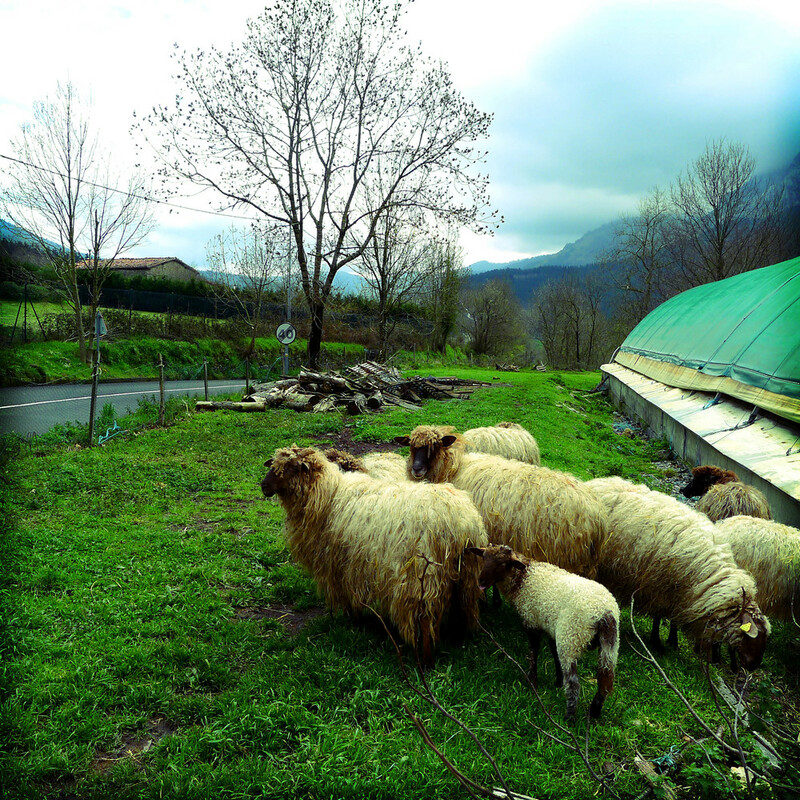 Because it combines three things that I am an absolute sucker for: Basque-ness, rural life, and incredible food. It's incredible, to me, that you can find some of the world's best food in the same six-building village that you can find a town bulletin organizing holiday celebrations and announcing marriages. For these reasons, I am unable to say no to a visit to Etxebarri. Call it crazy, call it smart, call it lack of self control; it's a fact. Self control, however, does enter the picture when I have to do what I call "Etxebarri Light". This is what I did recently with a couple friends who were just dying to check out this asado (grill) in the countryside. As they devoured the tasting menu (and even let me try the goose barnacles, above, which were squirty, sea-flavored fingers), I withstood (imaginary?) looks of skepticism from the wonderful Basque waitresses and ordered a half ración jamón and a half of Etxebarri's housemade chorizo. 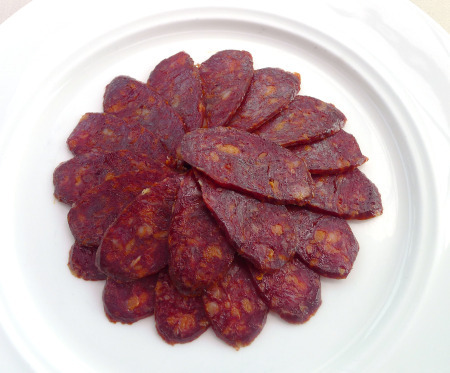 This chorizo makes frequent appearances in my dreams. And, to finish my meal, I just had to try Etxebarri's version of txipirones pelayo, a dish of calamari, caramelized onions and squid ink. Theirs was easily the best I've had, made with tiny baby octopus. And that, my friends, is How To Survive on a Budget in Culinary Paradise.